We’re thrilled to bring you the new release of MathRider, version 3. We have been working long and hard to improve MathRider for everyone of you – our existing and our new users. 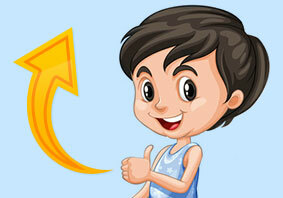 This page is specially for you, to help you get the most out of the new release. Our sincere thanks go to all of you who gave us your generous feedback and suggestions, many of which we were able to incorporate in this update. Without you, MathRider would not be the game it is today! Every screen in MathRider has undergone a review and gotten a refreshed look. The main control buttons that were previously floating over the landscape have been redesigned and lined up on the right hand side of the main screen. So now if you are looking to start a new quest, have a practice run or view player statistics, they are all on the right hand side and no longer obscure part of the landscape. This in turn has allowed us to reposition some of the quest rewards, which we also redesigned – especially the advanced and master awards. You can now rename riders and entirely delete them from the game. 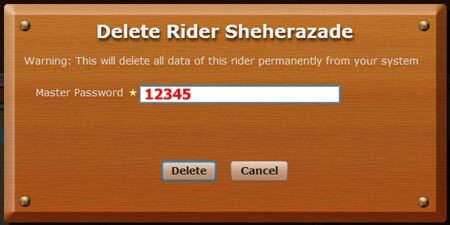 Simply go to Rider Maintenance and press the delete button. When you do, you need to enter your master password, which is the first set of numbers in your registration key, before the first dash. For example, if your registration key was "12345-6666-7777-888" then you would enter "12345" as your master password. Note that you cannot delete the rider that is currently logged in. You now access the high scores screen by clicking the medal on the main screen. (It used to be the horse shoe.) The high scores screen now shows not just high scores, but also the awards that have been won by the players for their respective quest performances. A lot of work has gone into the statistics behind the scenes, but we also wanted to make them more accessible to our users. 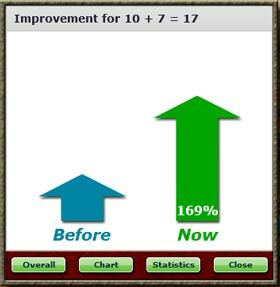 So we added an improvement meter that shows by just how many percent the player’s speed of answering has improved since answering each math question for the first time in MathRider. 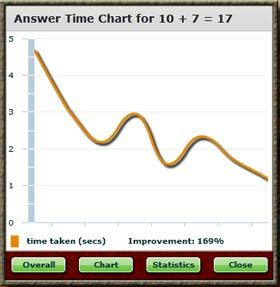 We also have more in-depth detail for each individual question, with an answer speed chart, an improvement illustration and an improved statistics summary. We had a few comments from users about Shadow the horse’s neighing every time the player answers a question correctly. Try it out and see if you like what we came up with. There are many other minor tweaks and some bug fixes that also went into this release. This entry was posted on Thursday, December 22nd, 2011 at 9:56 pm	and is filed under Announcement. You can follow any responses to this entry through the RSS 2.0 feed. You can skip to the end and leave a response. Pinging is currently not allowed.